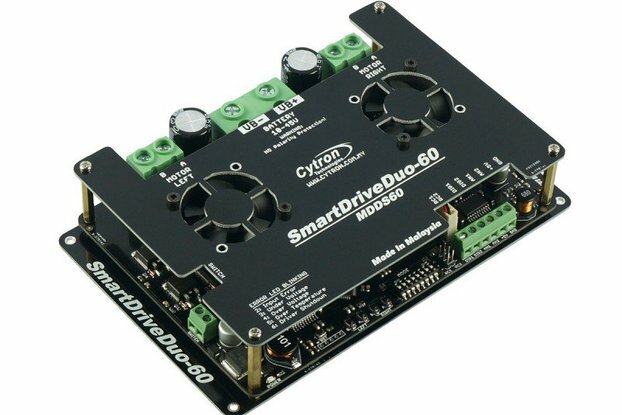 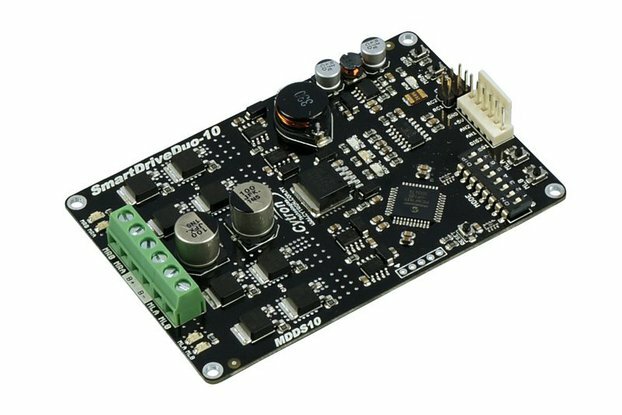 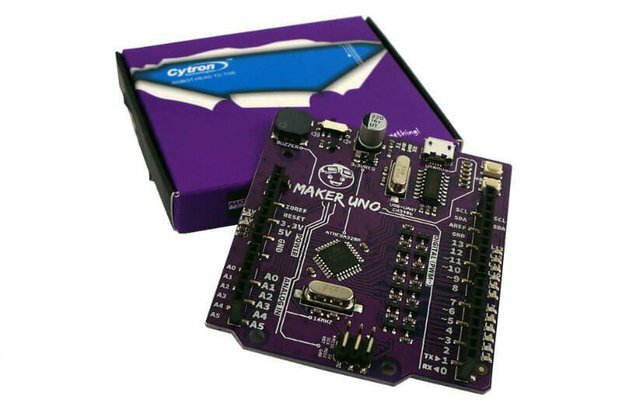 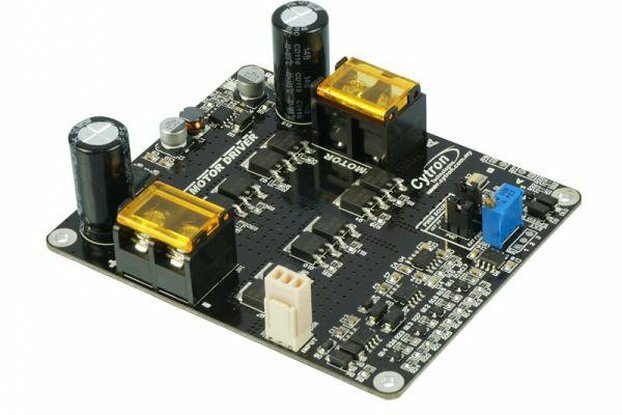 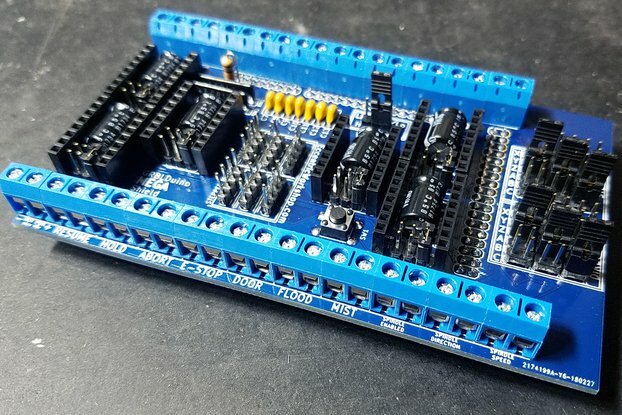 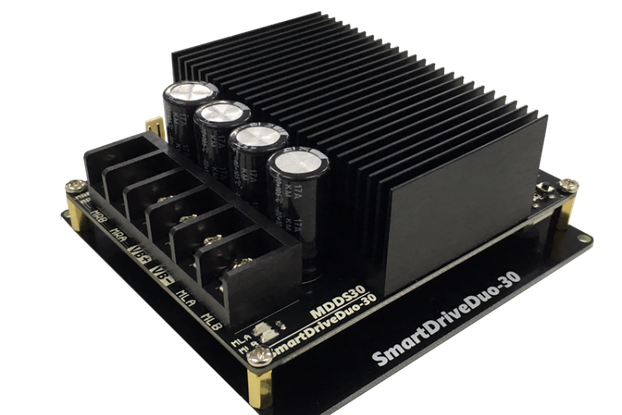 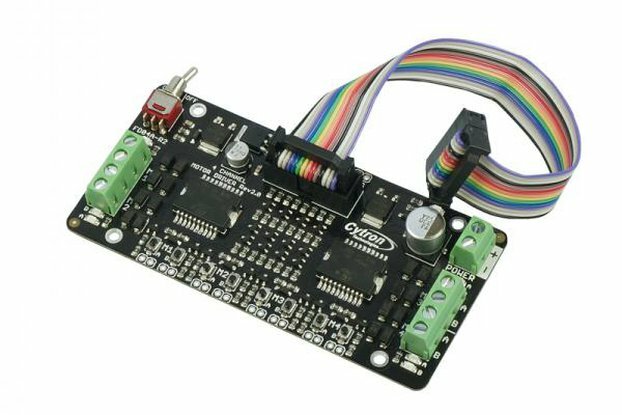 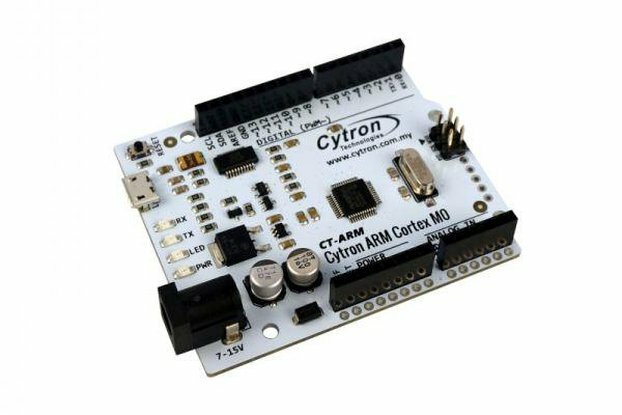 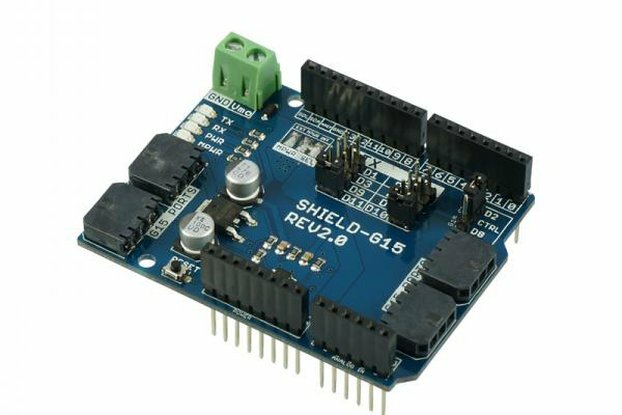 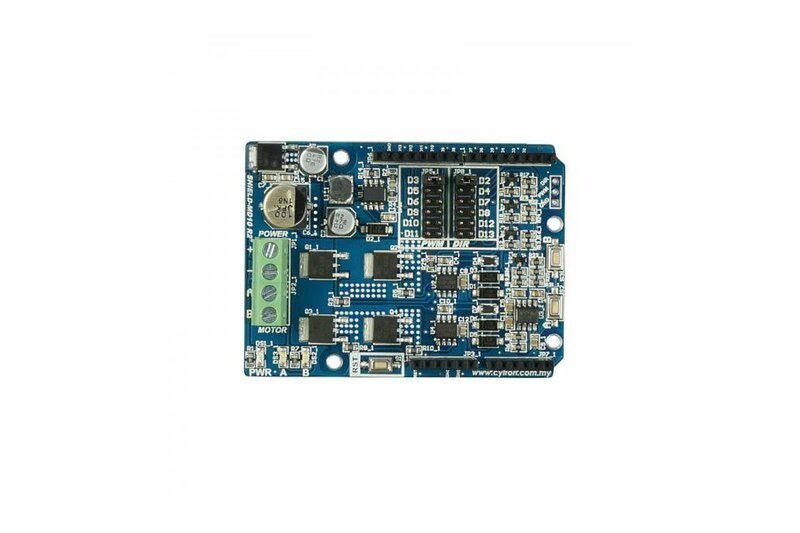 Cytron 10A Motor Driver Shield (Arduino)"SHIELD-MD10" uses full solid state components which results in faster response time and eliminates the wear and tear of the mechanical relay. 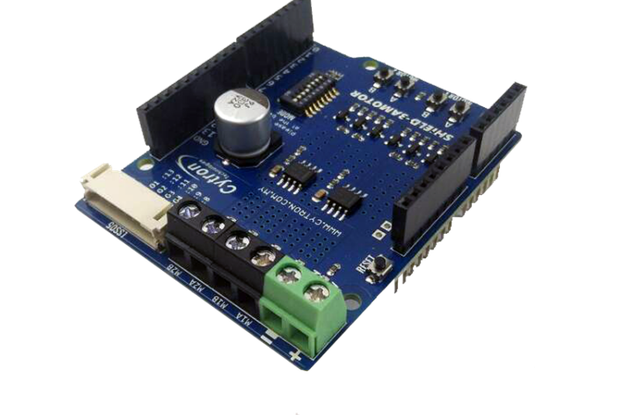 It has stackable side headers which allows for more Arduino shields to be stacked on top of it. 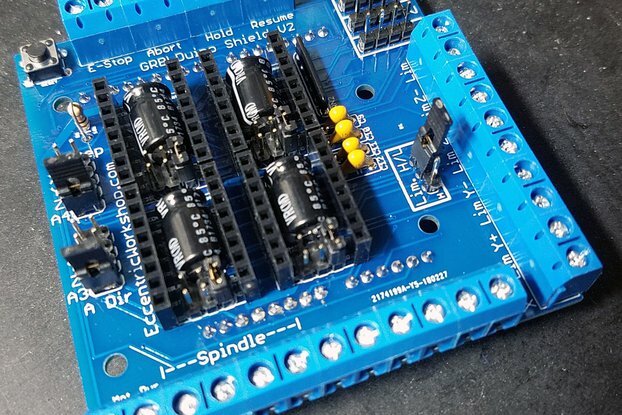 Each shield comes with two mini jumpers for you to select different digital pin for PWM (speed) and DIR (direction), so you can actually stack more shield together.